Thanks to your feedback, Swimia has become in just many months one the most essential sites of swimming pools. Here you have all of the info we know about prince regant, in Brighton. Do you realize the opening hours? Are they offering any course? What is the price to get a single swim? 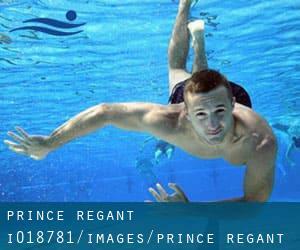 Don't forget you can also promote this pool so prince regant will appear the first of Brighton, or even the very first of your country, contact us to know more. Swimmers like you reported 25 meters, 5 lanes, Indoors, Salt Water, Non-Chlorine Sanitized. If you believe that any of the information and facts is incorrect, please make contact with us. Help us be better day-by-day. Updated on 2019 Kingsway , Hove , Brighton , England , UNITED KINGDOM (Postal Code: BN3 2WW). Swimmers like you reported 25 meters, 6 lanes, Indoors. Phone number and e-mail address are number for this Pool. Updated on 2019 Church Street , Brighton , England , UNITED KINGDOM (Postal Code: BN1 1YA). Among all the activities offered by the centre, if you're interested in swimming you might take pleasure in 25 meters, Indoors. If you need to get in touch with this Swimming Pool, email address and phone number are both number. Village Way , Falmer , Brighton , England , UNITED KINGDOM (Postal Code: BN1 9SG). Among all of the activities offered by the centre, if you're interested in swimming you are going to enjoy 25 meters x 10 meters, 1.2 meters depth, 1.2 meters depth, Indoors. Just in case you would like to contact this Pool before dropping by, we only know the phone number. Brighton Marina Village , Brighton Marina , Brighton , England , UNITED KINGDOM (Postal Code: BN2 5UF). This sports centre offers 25 meters x 10 meters, Indoors. For this Swimming Pool, only phone number is number here. On the grounds of Brighton College Pre Prep School , Eastern Road , Brighton , England , UNITED KINGDOM (Postal Code: BN2 5JJ). This sports centre provides 20 meters x 8 meters, 4 lanes, Indoors. Contact information for this Pool such as phone number and email address are number.